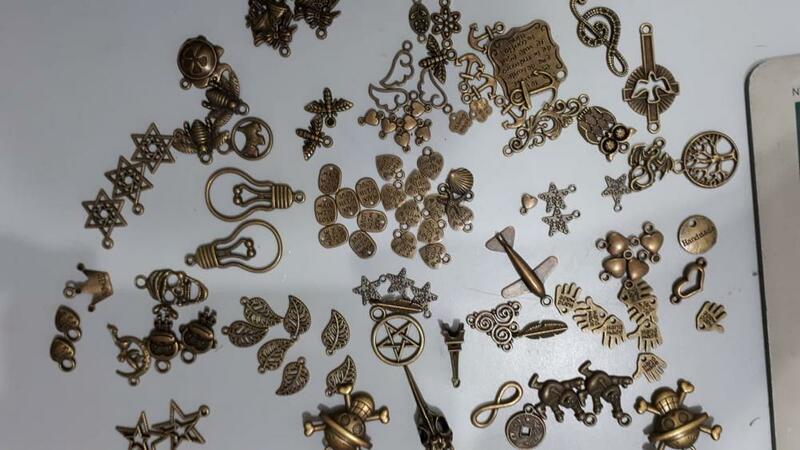 You will get a whooping 100 pieces of assorted antique bronze European pendant charms for your DIY jewelry making, for additions to necklaces, bracelets, earrings, luggage tags, bag straps or other arts and crafts. Made of zinc alloy, each piece of charm measures from about 1mm to as much as 25.4mm. Note: The charms will be sent to your randomly. Some could be duplicates. Price indicated here is for one lot of 100 pieces of charms. few pieces are not conforming the description…I didn’t received the keys, the sewing machine, the phrase, the scissors… but i’m overall very satisfied with the quality. Excellent quality and very good variety. Vintage metal tin signs with garage and car images and texts, perfect for vintage cafes and houses.